Big power with lower noise . Standard frequency is form 10 to 60 times per minute . 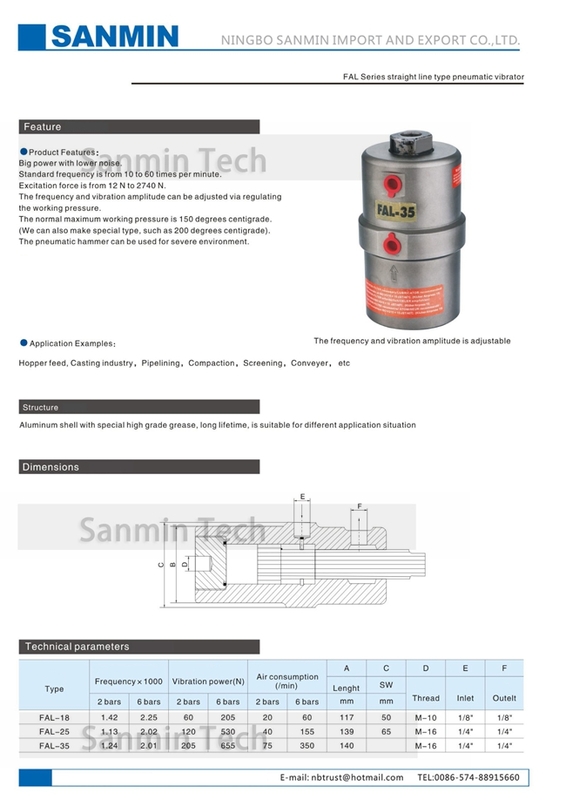 Excitation force is from 12 N to 2740 N .
The frequency and vibration amplitude can be adjusted via regulating the working pressure . The normal maximum working pressure is 150 degrees centigrade . ( We can also make special type , such as 200 degrees centigrade ) . 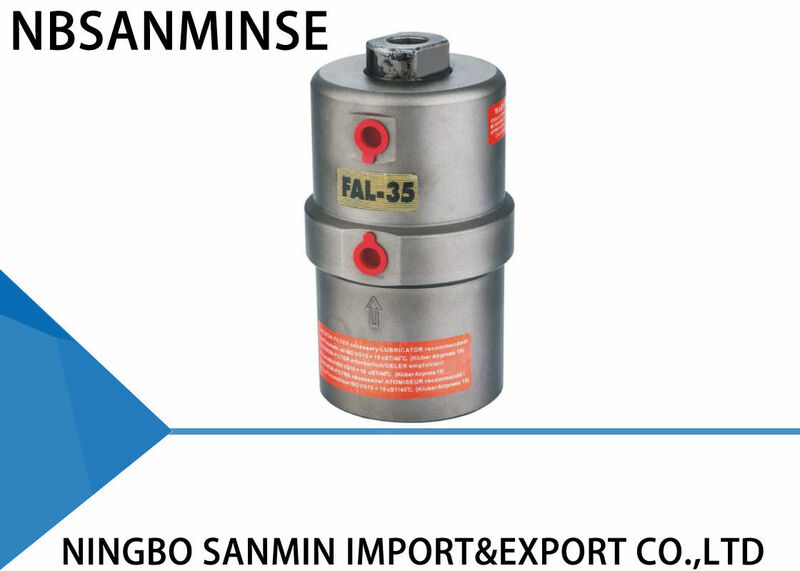 The pneumatic hammer can be used for severe environment . Aluminum shell with special high grade grease , long lifetime , is suitable for different application situation . 1: Large stock for fast shipping . 2: High quality with competitive price .